The price tag associated with upgrading your office to a fiber-optic Internet connectivity infrastructure might be significantly lower than you expect, and the service contracts involve lighter commitments than ever before, making it easier to take the plunge. The more office buildings that are connected to fiber, the more the fiber network spreads, making it simpler and less expensive to upgrade. 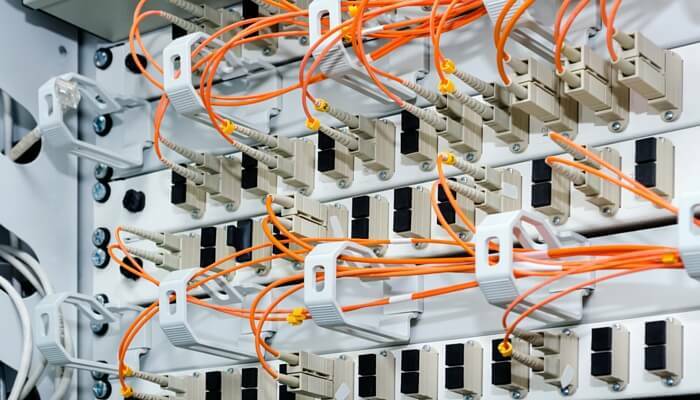 The closer existing fiber lines are to your facility, the more affordable it is to get fiber connected. 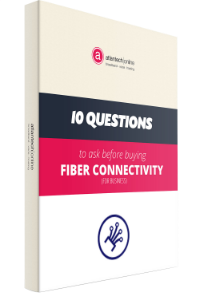 If fiber is available, you should strongly consider taking advantage of a move to fiber. Any move has the potential to impact the way you connect to cloud-based services, your remote servers, and the web in general, and should be handled with care. To complicate things further, you may be satisfied with the dependability, bandwidth and speed you’re currently getting with your DSL or cable modem connection, or you might have heard some outdated or otherwise misleading information about how fiber works. Let’s make this decision a bit easier on you by taking a look at some of the key advantages associated with upgrading to fiber. As your business relies on the Internet for more and more of your ongoing operations, you’re essentially sending and receiving more and more packets of data around the world over time. As such, you want to make sure that you have the fastest access to that material as possible – before the bottlenecks are perceptible. With fiber, you’re as future-proof as possible. Because fiber is the fastest available data conduit, the likelihood that you’ll experience slow-downs while using it, either now or several years from now, is the lowest. Indeed, fiber Internet provides you with far faster cloud access than any other type of connection. Your upload and download speeds will, of course, be much faster thanks to fiber’s symmetric speeds, but you’ll also have less to worry about latency, and lower latency via fiber means that information packets are sent that much more quickly and reliably over the network. Using bandwidth-straining tools is far smoother when you maximize your data transfer and access the cloud with best-in-class connectivity. Fiber is independent of services delivered over the network based on the copper-based technology that you are likely used to. Simply put, glass is more reliable as a data conduit than copper, which means that fiber is at far less of a risk of disconnects and downtime than services delivered by the ILEC or Cable company. Fiber provides extremely reliable data transmission. It’s completely immune to many environmental factors that affect copper cable. The core is made of glass, which is an insulator, so no electric current can flow through. It’s immune to electromagnetic interference and radio-frequency interference (EMI/RFI), crosstalk, impedance problems, and more. You can run fiber cable next to industrial equipment without worry. Fiber is also less susceptible to temperature fluctuations than copper and can be submerged in water. 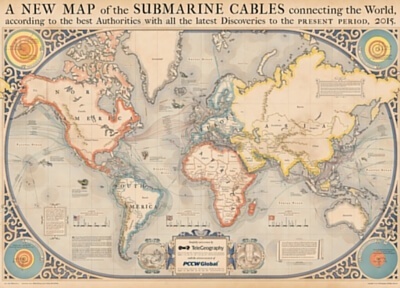 Fiber is so reliable, it is the physical medium used for transoceanic data communications that connect the globe similarly to the trade routes of the 18th and 19th centuries. The cost for fiber cable, components, and equipment has steadily decreased. Though fiber cable is more expensive than copper cable in the short run, it may be less expensive in the long run. Fiber typically costs less to maintain, has less downtime, and requires less networking hardware. In addition, advances in field termination technology has reduced the cost of fiber installation, as well. Unlike wireless connections or copper lines which can be tapped, your data is safe with fiber cable. It doesn’t radiate signals and is almost impossible to tap. If the cable is tapped, it’s very easy to monitor because the cable leaks light, causing the entire system to fail. If an attempt is made to break the physical security of your fiber system, it will be readily apparent. Fiber networks also enable you to put all your electronics and hardware in one central location, instead of having wiring closets with equipment throughout the building. Only you know what is truly best for your business, but there are some compellingly solid reasons to seriously consider switching to fiber. If you’d like any further help tackling this decision, feel free to reach out to us here at Atlentech. We’ll be happy to talk it all out with you.